I got a little shop time today, and made a new tool. I recently cleared a bunch of space, and got a whole new corner for the shop which I share with the family storage area. While I was cleaning the shop I found a broken jigsaw blade. I read somewhere on the internet that you could make a marking knife out of these. So I gave it a shot. I used the grinder to shape it a bit, and pointed it on both ends. 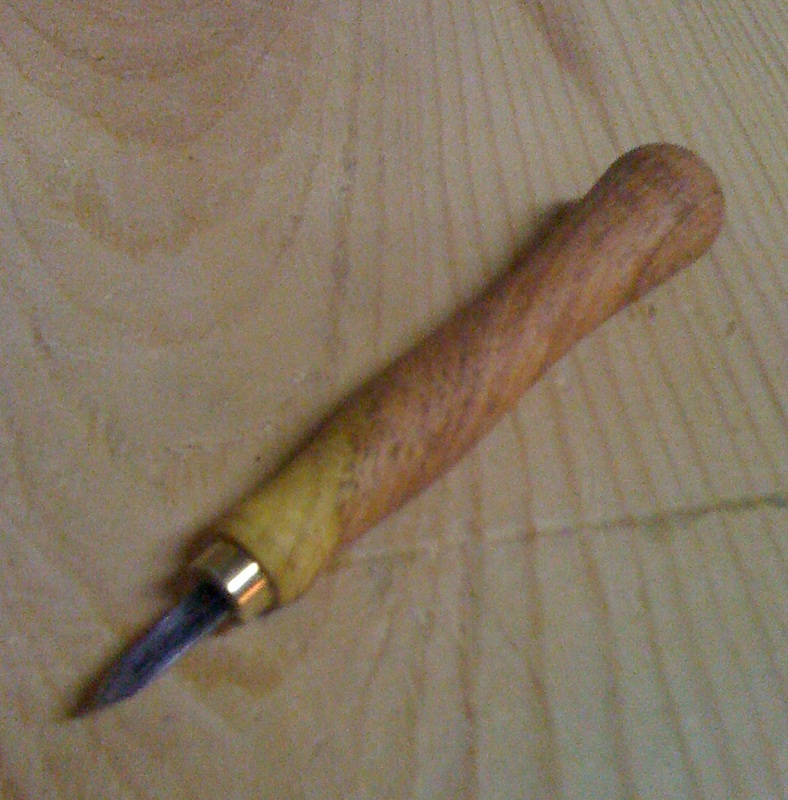 Then I turned a piece of Mesquite pen blank I’d gotten in a trade box with some other pen turners. I cut a piece of brass pen tube I found while cleaning up (a theme perhaps) to make the ferrule. Then I drilled a hole slight smaller than the width of the tang in the end. Clamping the blade in the vise, and then hammer with a wooden hammer on the end of the handle I seated the blade into the handle with a few good wacks. It’s pretty solid, and I figure it will work for a bit, and it’s going to get a lot of action as a marking knife so I figure this will be good enough. Then a quick sharpening on the grinder, and a pass over the sandpaper to flatten the back and done! A nice quick project, that I can now use to mark accurate dovetails.